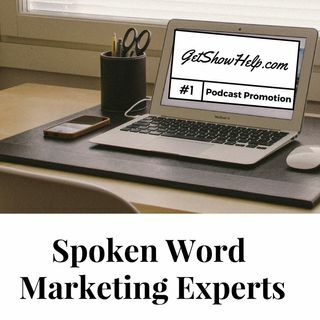 We specialize in marketing referral-based businesses and professional practices via the lost art of spoken word. Turn your network and expertise into a referral-generating machine. 4/17/19: JJ Flentke, PT, DPT, CEEAA with Boomerang Therapy Works | Parkinson's Awareness Month: Exercise IS Medicine....Keep Moving! 4/16/19: Dr. Larry Gates with Salem Gastroenterology Consultants | Colorectal cancer is one of the most common & deadly of cancers. 4/9/19: Kyle Downs with Trinity Fiduciary Services | Do you know what a fiduciary is or what they do? Tune in to find out! 4/2/19: Lynell Beckstrom with the Rapid Eye Institute | Do you suffer from stress, grief, anger, abuse, or other emotional issues? 3/26/19: Barbara Crawford with Columbia Medical Alarm, Inc. | Are you looking for a Personal Emergency Response System (PERS)? 3/19/19: Sondra Underberg and Renee Lacy with Diabetes Support Services | Are you looking for education or support with diabetes? Aging is happening to all of us, and it is a journey full of many joys, many challenges and many opportunities. Our team is dedicated to helping you maximize the joy, minimize the challenges and capitalize on the opportunities. We do that by delivering relevant, helpful information about aging. What ... See More services are available? We welcome your engagement. Everyone is aging and has something to offer to the conversation. Learn more by emailing presley.reader@comforcare.com or by calling 602-438-1300. Aging in Portland, hosted by Mark Turnbull. Nicol broadcasts on Wednesday mornings at 11:00 am on WSTC – 1400AM as she teaches you about the world of healthy aging with community experts. She will delve into a wide range of subjects concerning the care of seniors, including resources for seniors, care takers, and family members to types of professional services available to our ... See More seniors. Nicol Rupolo, host of The Come for Care Show, has been a Stamford resident for 25 years. After an extensive 30-year career in IT and project management, she has begun a new journey with ComForcare Home Care, which offers home care services to seniors and other members of the Fairfield county community. Nicol finds this work both rewarding and educational and she enjoys bringing her compassion and caring nature to her business. Nicol invites you to call her to begin the talk at 203-705-0220.